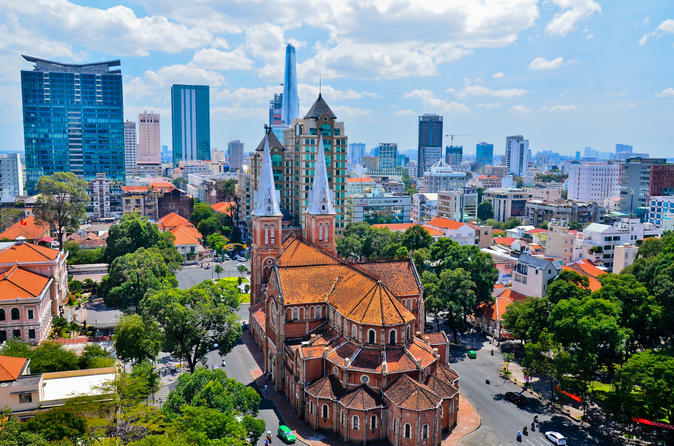 Ho Chi Minh City - the largest city in the southern of Vietnam lying along the Saigon River near the Mekong Delta is a favorite destination of backpackers. The city offers plenty of reasons to visit, from its blend of historic and modern attractions to vibrant shopping, dining and nightlife. Ho Chi Minh City atau dahulunya dikenali sebagai Saigon adalah ibu negara Vietnam Selatan sehingga 2 Julai 1976. Namun setelah Vietnam Utara dan Selatan bersatu, ibu negara Vietnam dipindahkan ke Hanoi. Bandaraya ini memiliki banyak bangunan bersejarah peninggalan zaman kolonial Perancis. Beberapa tempat menarik wajib dikunjungi apabila ke Ho Chi Minh City seperti; Cu Chi Tunnels, War Remnant Museum, Reunification Palace, Saigon Central Post Office, Municipal Theatre of Ho Chi Minh City, Ho Chi Minh City Hall, Saigon Central Mosque, Saigon Notre-Dame Basilica, Giac Lam Pagoda, Ben Thanh Market dan Saigon River. Silahkan datang ke Ho Chi Minh City, Vietnam.